The current weather in Klang Valley since mid February has been hot days and possible showers in the evenings. 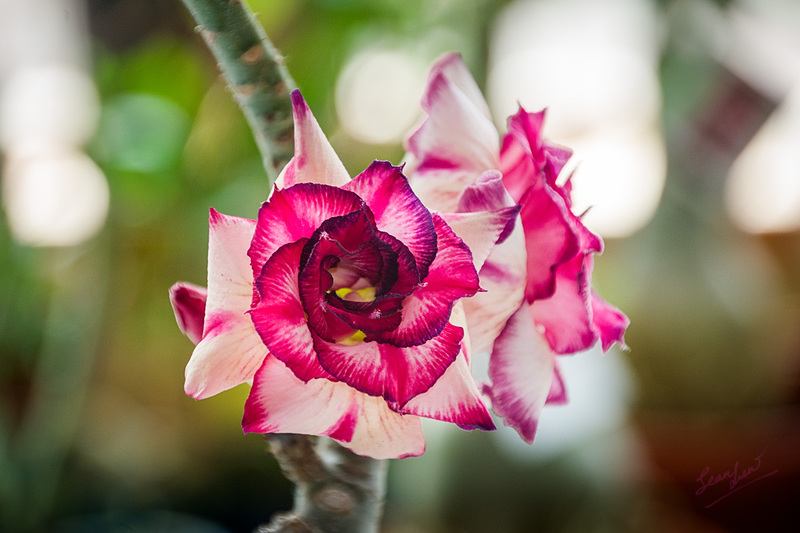 This hot and dry during the day and the then cooler nights are ideal time to feed your Adeniums or more commonly known as Desert Roses. If they are actively growing, AND the potting media is free draining, make sure they have moisture all day long and your Adeniums will grow like mad. A good feed of fertiliser now and then will guarantee strong blooms, especially when they are actively growing and the air isn't too damp to bring about fungal diseases. Mine has been blooming like mad, though keeping up with the watering has been tough, since the potting mix that I use are too porous and doesn't hold water. 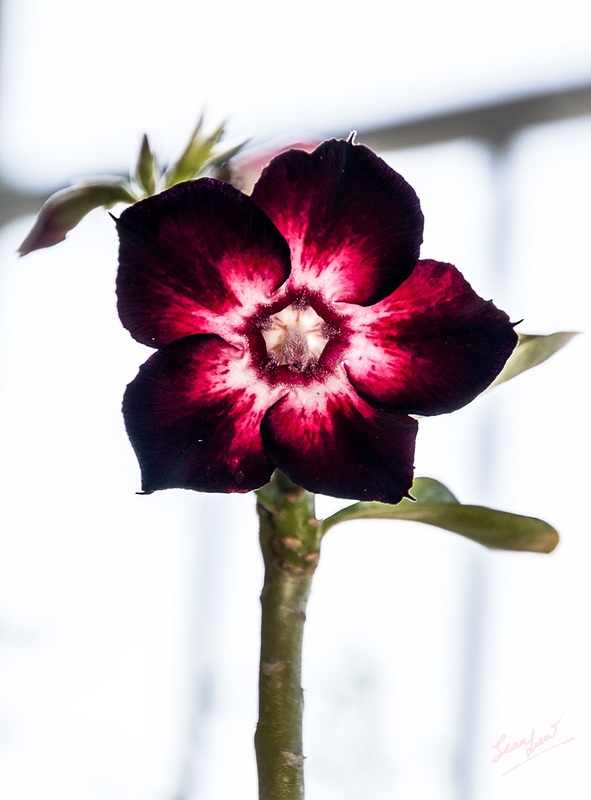 Having a good run of flowers from my Adenium Thong Yod, Raspberry Freeze, Vietnam Love, Rose Beauty, Princess Fragrance, Sup Somboon, and even my friend's Black Swan II on loan for grafting. Raspberry Freeze - love the almost fluorescent colour. Black Swan II - thanks MK for the loan. Working on making it more beautiful, hehe. 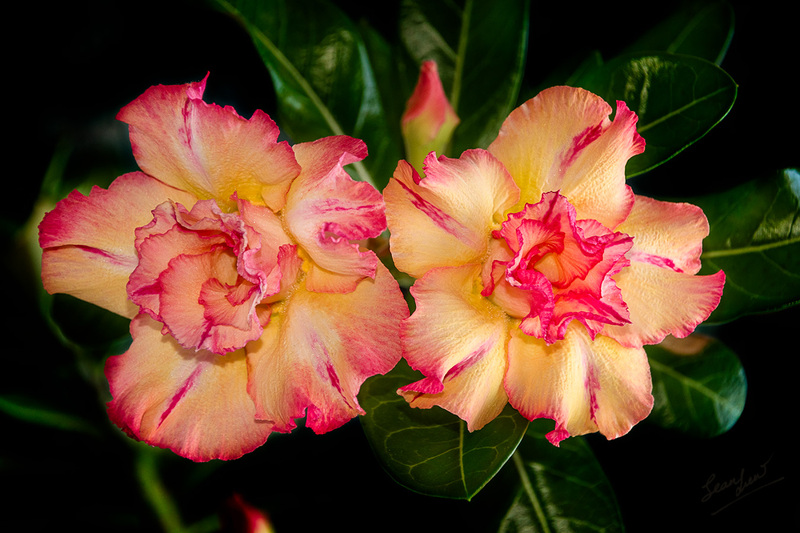 So time to feed your Adeniums if you haven't done so.... they will surely reward you with pretty blooms. Banyaknya collection.. meriah meriah bunganya..